After hours in the summer sun, who doesn't need a skincare boost? 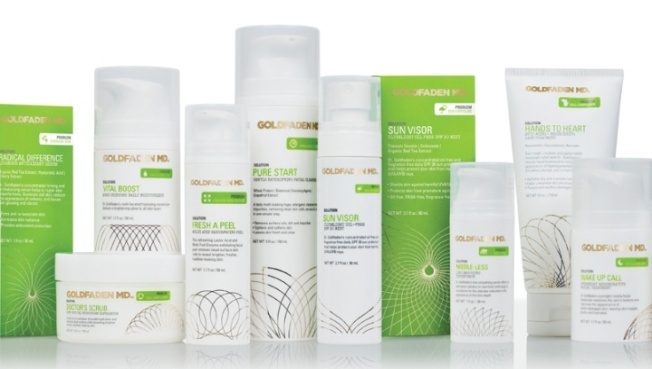 Treat yourself right and try Goldfaden MD, a dermatologist-developed, all natural, medical-grade skin line that is all about what is not in their products: no parabens, no petrochemicals, no mineral oil, no alcohol, no silicone, no gluten and no animal testing. Inspired by years of in-office treatments and procedures, and using state-of-the-art technologies with active plant cells and antioxidant-rich botanicals, Dr. Gary Goldfaden has created a luxe line of products that will have your skin singing. Try the Sun Visor Ultralight Oil-Free SPF 30, along with Vital Boost, Bright Eyes and the Radical Difference serum. Goldfaden MD is now available in Space NK locations in NYC and Westchester. For more info go to GoldfadenMD.com.